2217 SW 43rd Ln, Cape Coral, FL.| MLS# 218058181 | Southwest Florida Residential Real Estate for Sale. *Price reduced by $5, 000* MOTIVATED SELLER! 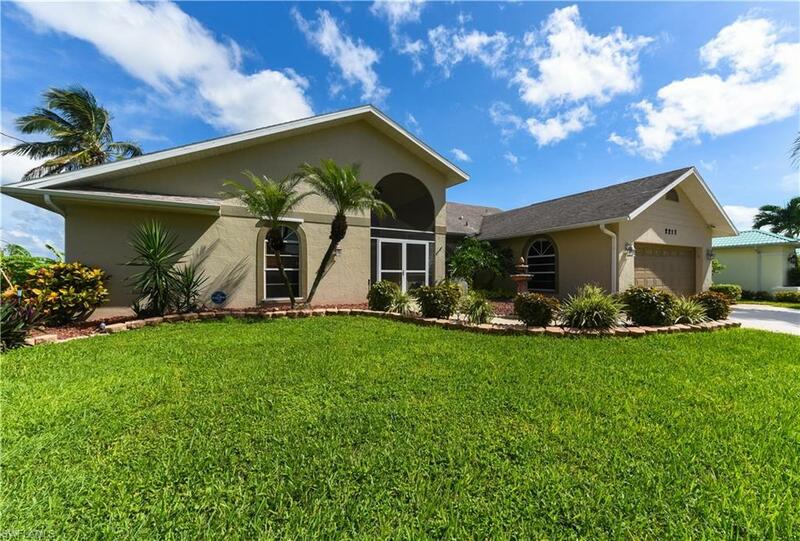 Gulf Access Pool home on Triple Lot Site with partial Intersecting Canal View! You'll love this kitchen with numerous upgrades like granite counter-tops, stainless appliances, huge pantry, and large breakfast bar. Enjoy time around the family room stone fireplace with excellent water views and lots of ambient light. Home offers a spacious 3 bedroom plus a den floor plan with a master suite all will envy! Large living room that looks out through french doors onto the pavered pool deck with canal view. This home is set-up for entertaining visitors! With an open kitchen concept ideal for interacting with guests and an inviting outdoor kitchen space equipped with gas grill, venting hood, sink and refrigerator! Youâll be the favorite host of your friend group! Walk down to either of your large cantilever docks for a cool drink before jumping on your boat and heading out to see all that the Gulf has to offer! Your day on the water may include island hoping from one exquisite beach to the next on the shorelines of our gorgeous barrier islands! Or visiting the restaurants and resorts by water that dot our coast! You can have it all right here! Courtesy of Schooner Bay Realty, Inc.